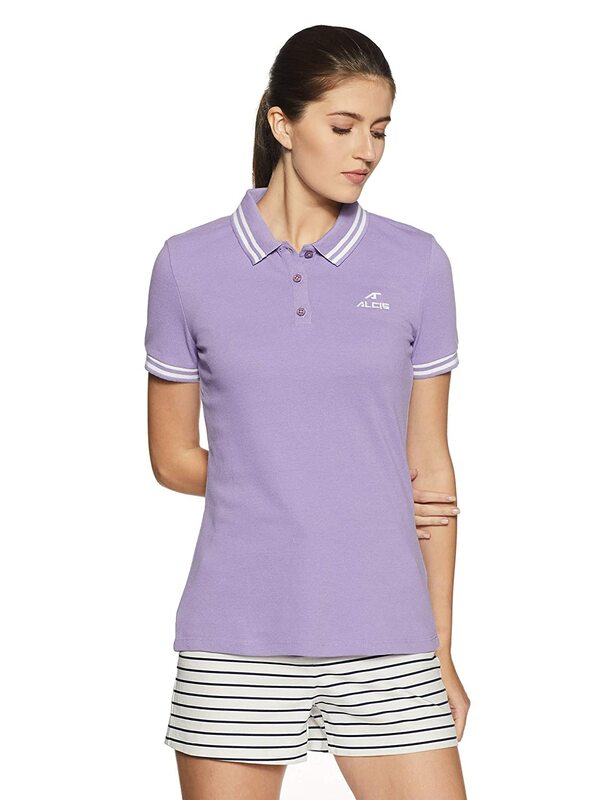 Experience unrestricted movement and optimum wearing comfort, with this lavender colored polo t-shirt from ALCiS that is crafted from super-soft poly cotton fabric. This t-shirt has short sleeves and contrast tipping details making it visually appealing as well as a snug fit. It has the brand logo on the front that give an aesthetic look. This polo t-shirt can be teamed with a pair of grey joggers and black sneakers to look your best.